Copyright 2008-2015. A Stark World Pvt.Ltd. Stark World Publishing Pvt Ltd has also ventured into e versions. 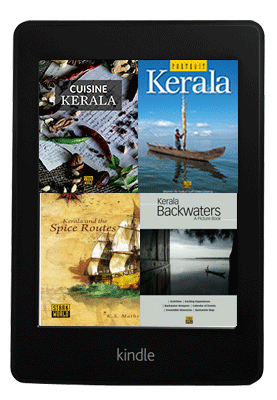 We have soft launched four books on kindle – Portrait Kerala, Kerala and the Spice Routes, Theyyam the Other Gods and Kerala Backwaters. 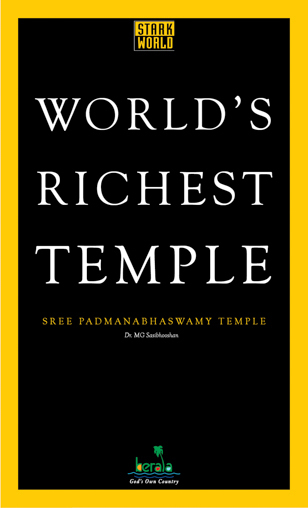 Bridging the past with the present, striking a balance between history and tradition is this authentic volume on the wealthiest Hindu temple. Get a feel of the temple’s festivals that are exemplary displays of devotion, unflinching dedication and discipline by the believer. Read of the Travancore royal who surrendered to the Supreme, and the descendants who to this day adhere to practices laid down centuries ago. Know how the benevolent God is also the richest. With its lush landscape, picturesque backwaters, many beaches and the promise of Ayurvedic rejuvenation, Kerala is on the must-do list of every avid traveler. It is also a food lover’s paradise. Rich in spices, swamped by traders of many hues and colonised by foreign powers, the region inherited a magnificent culinary legacy. But evolving over time in its inmitable way, it also developed a cuisine that is remarkable. 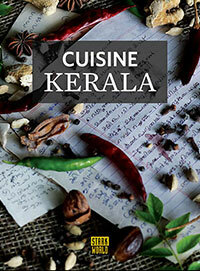 With a glimpse into the past, this book unveils the many influences that shaped the food ethos of the Spice Coast. Kerala enjoys all the blessings of nature - a long coastline, rugged mountains, serpentine rivers, sparkling waterfalls, dense forests, serene backwaters, lush plains, a copious monsoon and plenty of sunshine. Travellers come here, drawn by its unmatched natural beauty, its rich culture, its ayurvedic treatments and its fabulous resorts. Portrait Kerala goes behind the visage to present the real kerala. 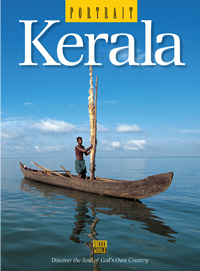 Portrait Kerala unveils the state in all its glory - its unmatched natural beauty and fascinating history, its distinctive people and unique traditions, its colourful arts and vibrant festivals and its unrivalled array of cuisines. Revel in over 250 world class photographs. Read about every facet of the state. And taste some of the magic that is Kerala. 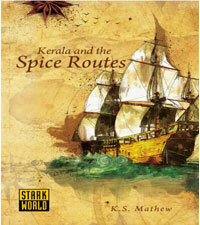 Kerala and the Spice Routes deals with the various routes through which spices were taken to different parts of the world for the spice trade. With colourful photographs and enlightening notes the book, Theyyam the Other Gods, takes you to the world of Theyyam – the history, legends, the people who perform Theyyam (Kolam), different types of Theyyam, the locations where Theyyams are performed and much more. 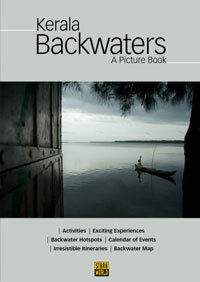 Kerala's backwaters are famed the world over for their stunning natural beauty and unique ecosystem. Houseboat cruises, bird watching, fishing and watching boat races are just some of the things you can do here. Kerala Backwaters charts out the most favoured tourist destinations in the backwaters and gives you a glimpse of the attractions that make them a must-do on your Kerala Expedition.